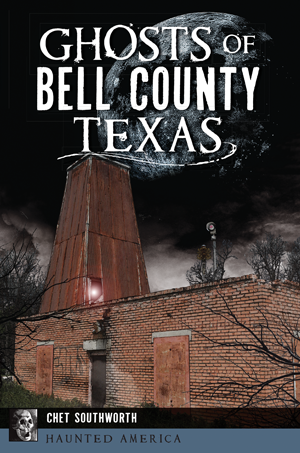 Centuries of violent history have laced Bell County with a potent compound of haunted activity. Spectral conquistadors stand guard over the Treasure of the Golden Bull, hidden in Salado caverns by the Coronado expedition. Countless frontier skirmishes, bank robberies and stage holdups echo along thoroughfares from Stillhouse Hollow to the Maxdale Bridge. Author Chet Southworth lies in wait for the Killeen Watchman, the Fort Hood Phantoms, the Wedermeyer Wraiths and other Bell County spirits. Chet Southworth spent five years laboring in a steel foundry, twenty years in nuclear engineering, five years in corporate management and nine years in city management. He has a Bachelor of Science degree from the University of New York, a master’s degree in human resources development and organizational development from Friends University, a master’s in business administration from Texas A&M Central Texas and a Doctor in Jurisprudence from Texas Tech University. Chet has been a paranormal researcher, investigator and primarily a debunker for more than thirty years. He currently resides in Killeen, Texas, with his wife, Barbara, several cats and Pooka, the spirit of Barbara’s deceased pet.